But that all changed two years ago when the College of Law at the University of Saskatchewan (USask) announced it was bringing law school to the north through the Nunavut Law Program. “Honestly, when I saw it advertised, I couldn’t believe it,” said Comeau, one of 23 students who are in the second year of the four-year Nunavut Law Program based in the capital of Iqaluit. “I thought it was made for me. I had just finished my bachelor’s degree in history and political science in April (of 2017) at Carleton, and this law program was going to start in September, and it was in my community. So, it was perfect for me. Established via a partnership between the USask College of Law, Nunavut Arctic College and the Government of Nunavut, it’s the first time in more than a decade that law programming has been offered in the territory. Students who complete the program will be awarded a Juris Doctor (JD) law degree, joining the other USask graduates of the class of 2021. “It’s important that Indigenous populations in remote and rural areas have access to legal education, and we’re delighted to run the program,” said Dean of the College of Law Martin Phillipson. The Nunavut program incorporates Inuit legal traditions and teachings from local Elders and other experts in Inuit law, with visiting professors from universities across the country taking turns travelling north to teach the bulk of the course load. Ultimately, the program is designed to improve access to legal services in Nunavut by producing graduates like Comeau looking to practice law in the north. 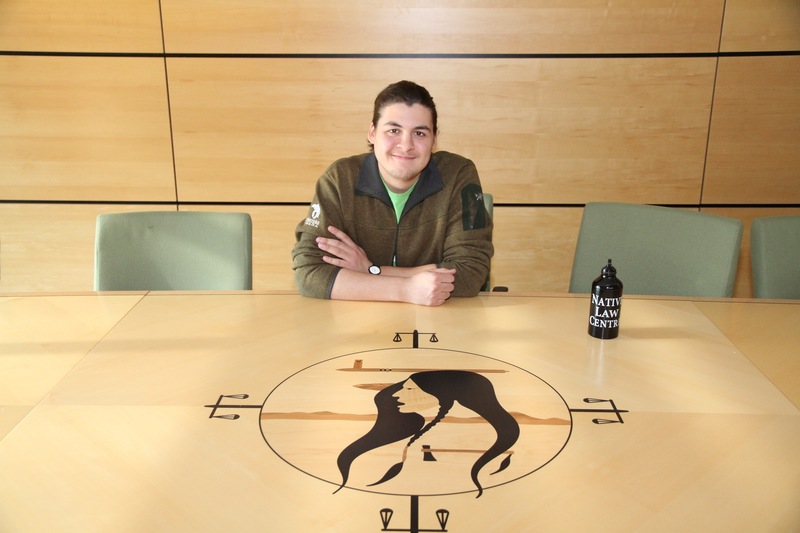 Comeau is one of the 35 Inuit students and among the 2,819 self-declared Indigenous (First Nations, Métis and Inuit) students currently taking USask courses, with the Nunavut program part of the university’s ongoing commitment to creating new opportunities for Indigenous and northern students. Comeau was one of five of the 23 students—including 18 who are Inuit—from the Nunavut program who recently had the opportunity to travel south to Saskatoon to meet their USask law classmates for the first time and tour the university while taking part in the Indigenous Bar Association’s annual conference from Nov. 1-3. USask law alumnus Ken Fredeen covered the travel costs for the five students after donating his $20,000 award as Canada’s General Counsel of the Year.